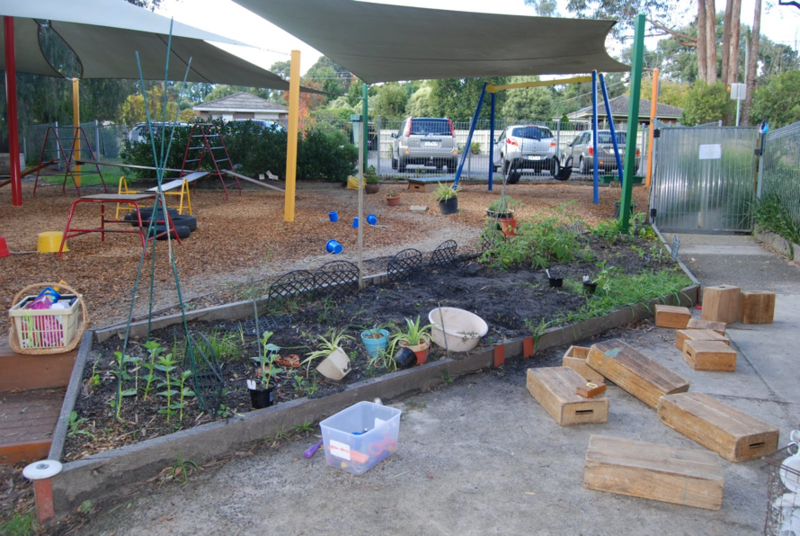 A good example of shade over areas of the playground. Exposure to sun is needed, but children must be protected from excessive exposure. 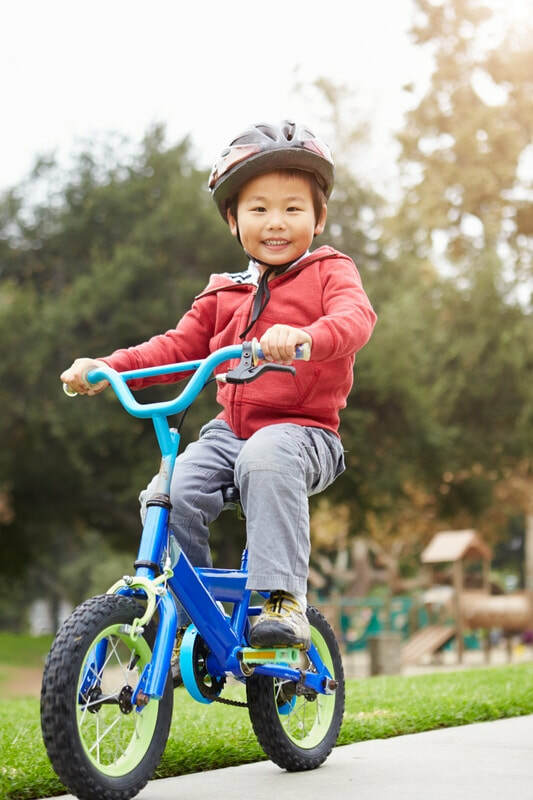 All climbing, swinging, and sliding equipment should be secured to the ground and stable. Concrete footings and anchors for this equipment must not be visible. 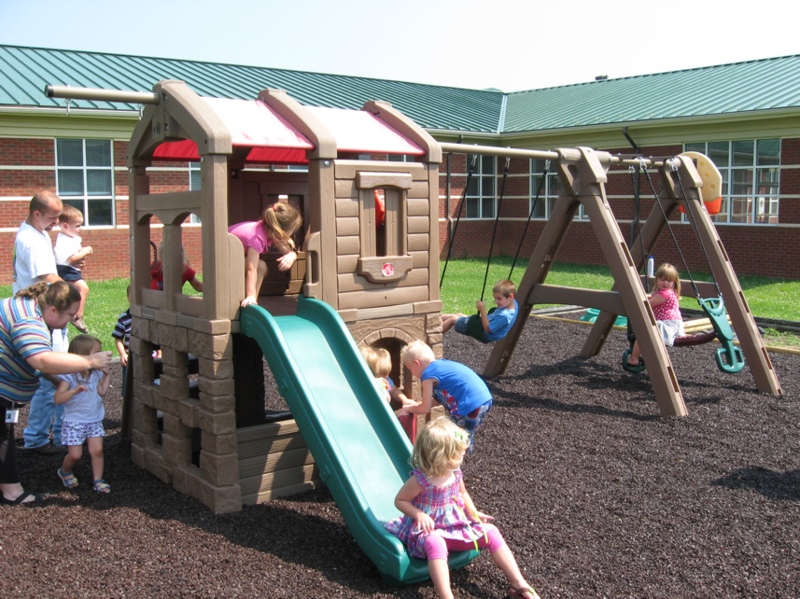 Swings generally require more space than is available in many child care center outdoor play areas. 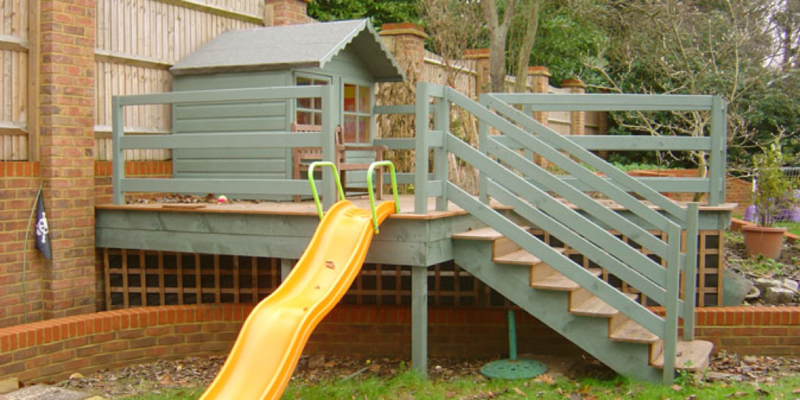 Provide guardrails for elevated play areas and stairs. ​Guardrails are designed to protect against falls from elevated surfaces, but do not discourage climbing or protect against climbing through or under. Protective barriers protect against all three and provide greater protection. Guardrails are not recommended to use for infant and toddlers; protective barriers should be used instead. 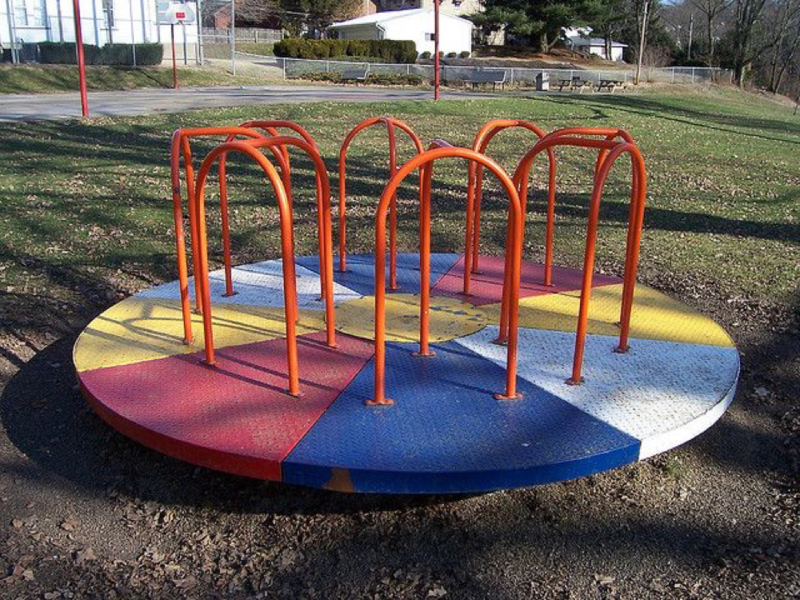 Merry-go-rounds may present a physical hazard to young children who have little or no control over such equipment once they are in motion.